My company Eurobond Adhesives Ltd have been leading the way in supplying the very best adhesives, tapes and bonding accessories to the Sign Industry for over three decades. We are delighted to be sponsoring the Sign Construction Category at the 2018 Sign Making Awards in November. We are trusted by thousands of sign makers throughout Europe to get it right first time every time. Our PENLOC range of 2-part structural adhesives, Vitralit range of UV curing adhesives and our range of adhesive tapes are recognised as the market leading products that will add value to your products and save you time and money in the construction of your sign. 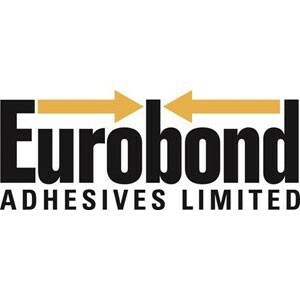 Eurobond Adhesives Ltd was established in 1984 and since then we have built an enviable reputation in the industry for providing high performance, cost effective bonding solutions to thousands of businesses throughout Europe. We have a wealth of technical experience and expertise to draw on and can advise you on the best bonding solution and method of bonding to suit your individual needs. We offer our customers and potential customers, Free on-site bonding demonstrations, Free product application evaluation and bonding solutions advice, Free adhesive product training and on-going technical support.We are supported in depth by a fully equipped laboratory and a materials testing facility. We comply with all EU legislation including Rohs and REACH. We are ISO9001 registered and audited and pride ourselves in offering nothing but a first class customer service. 99% of our products are stock items and are available on a next working day delivery basis. Thank you for your time. My team and I look forward to working with you.